The mission of the Digital Lab involves the conversion of analog materials, such as manuscripts and university archives found in Special Collections and Archives, to digital; the management of digitized materials and some born-digital media in cloud storage form and on the web; and some cataloging and creation of metadata for those digital objects. 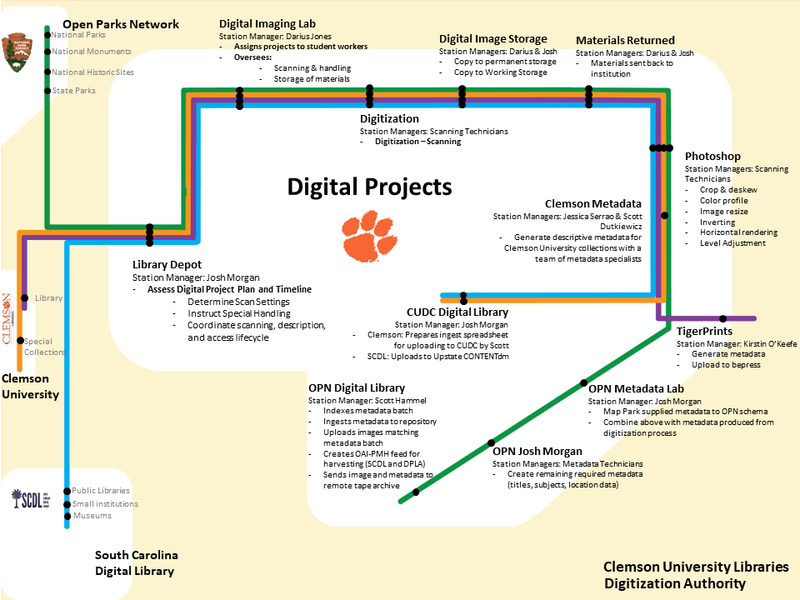 Most metadata creation for Clemson University materials is handled by the Metadata and Monographic Resources team (MMRT). The lab staff coordinates with Special Collections and Archives, upstate South Carolina Digital Library partners, and grant partners for the transfer and borrowing of materials for digitization. Many different projects are going on at once in the lab, and it’s the main role of the digital projects manager to guide each step in the production of all projects and coordinate between the multitude of personnel involved. The digital projects manager and lab manager conduct strict quality control to ensure compliance with FADGI standards and best practices for handling, and image production. The main goal is to digitize materials in a way which reproduces the original object as it would look in-person. The lab employs a variety of scanners to meet or exceed strict standards. These include: a document scanner, flatbed scanners, a book scanner, and an 100MP medium-format digital-back for oversize materials. Our students are trained in proper handling of archival materials. They also receive training from the lab manager in operating the scanners and workflow procedures required for once-and-done scanning. Once scanned, materials are returned and digital master images are placed in cloud storage for safe keeping. Working images are generated to safely produce web accessible copies for viewing, thereby avoiding any digital degradation to the original master image. For digitizing cultural heritages materials we follow the Federal Agencies Digitization Guidelines Initiative’s documentation. 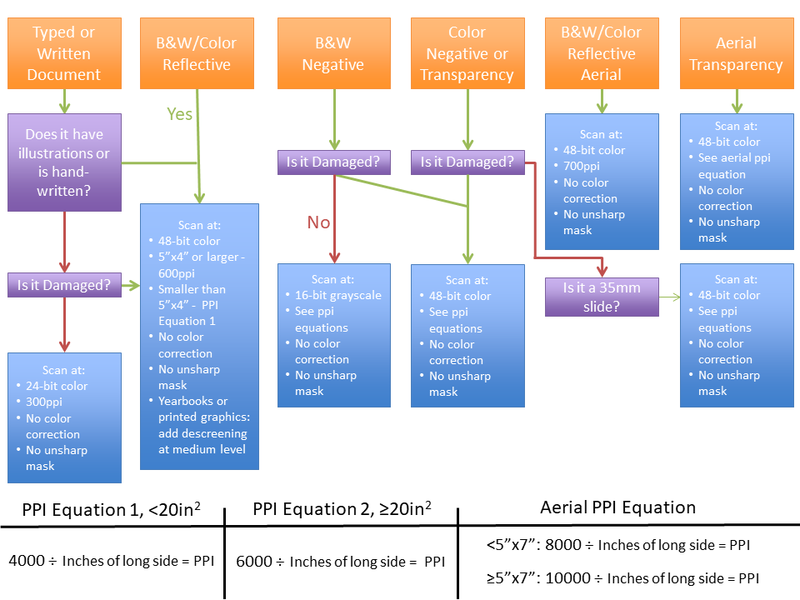 We designed a convenient flowchart for student scan technicians to reference in the lab when determining digitization settings for various material types. The equipment we use to digitize documents can be found here. Grant (specifically National Park Service) and SCDL projects are described using a team of metadata students in the Digital Projects division. Clemson University materials are described by the MRRT. 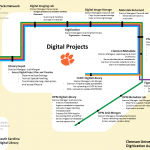 The metadata librarian in MMRT keeps abreast of metadata standards from both the South Carolina Digital Library and the Digital Public Library of America. Their team populates the important information to go along with the web copy of the digital object to ensure its accessibility, discoverability, and usability through our digital library portals. Our metadata is based mostly on Dublin Core and qualified Dublin Core, and we follow the South Carolina Digital Library’s metadata guidelines. By using SCDL guidelines, we are also following the Digital Public Library of America’s guidelines. Metadata is tracked consistently throughout a project’s life, which can be indefinitely. You can download a copy of our metadata production spreadsheet here. Scan technicians are required to record all metadata they encounter when scanning an object. 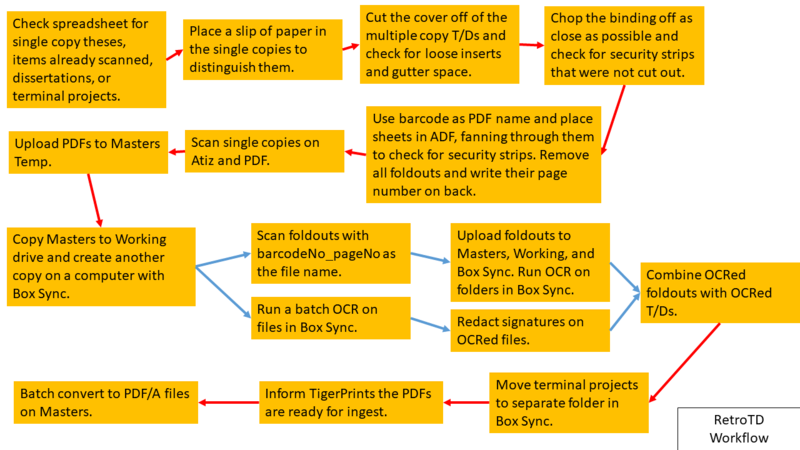 This includes anything written on the back of an image, labels on folders, notes attached to an object, and transcribing a catalog card affiliated with an object. This metadata is kept to production-level fields in the spreadsheet so metadata specialists or catalogers can derive and create properly formatted metadata in the metadata profile fields further along in the spreadsheet.